IT’S SATURDAY 14 DECEMBER 1918. Irish men and women are turning out in droves across the country to vote in the General Election, many for the first time. This is the first time that the franchise has been extended to women (over the age of 30) and all men over the age of 21, greatly boosting the Irish electorate. Early indicators show a major upset for John Redmond’s Irish Parliamentary Party, with the revolutionary party Sinn Féin looking like they will sweep to power. However, the Unionists of Edward Carson are showing strong gains in Ulster. You can keep a track of who has been elected in your constituency here. But who will you be voting for? Today we’re asking, Who are you voting for in the 1918 General Election? Email “It's the day of the 1918 General Election - Who are you voting for? ”. 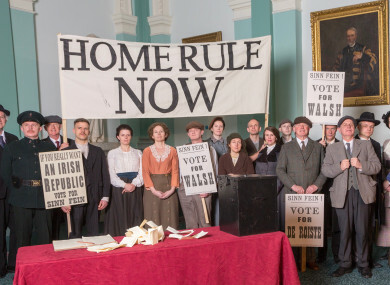 Feedback on “It's the day of the 1918 General Election - Who are you voting for? ”.